Attention! This news was published on the old version of the website. There may be some problems with news display in specific browser versions. the second most mass-produced tank in Japan in World War II. 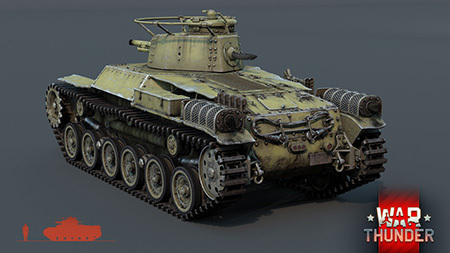 Meet the Type 97 Chi-Ha! At the Igromir 2016 expo, we spoke about a Chi-Ha modification with a 47 mm cannon. We’re not going to miss out the base model either – all the more because this tank is the second most mass-produced Japanese tank in the Second World War. 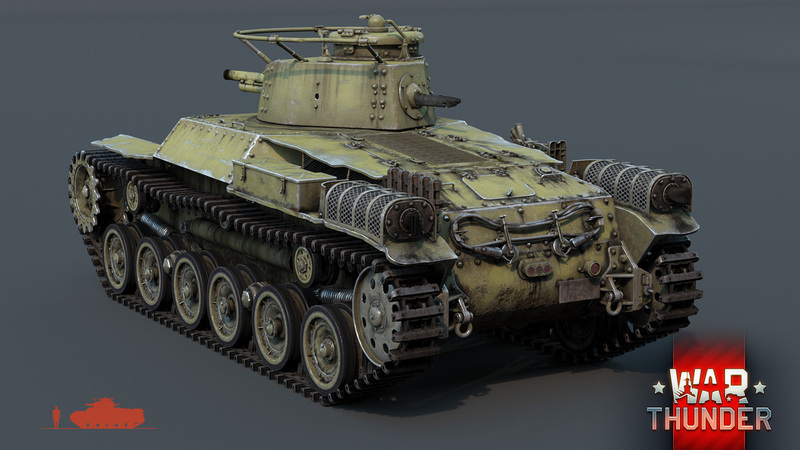 Furthermore, the Type 97 Chi-Ha served as a basis for the development of a large number of modifications (many of which will also be represented in the Japanese armored vehicle tech tree in War Thunder). The tank’s chassis and parts were used to make SPGs, repair and evacuation vehicles, engineering vehicles and special vehicles – in other words, this tank really is special! 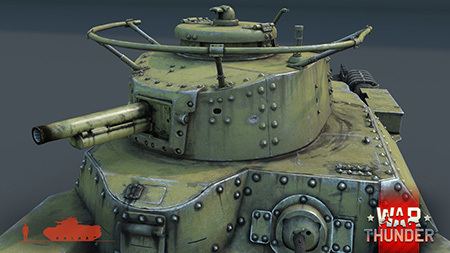 So without further ado, we introduce the early-series Type 97 Chi-Ha Japanese medium tank. 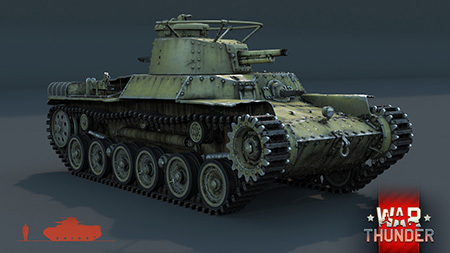 The idea behind this tank was born as a result of the experience in using tanks during military operations in Manchuria and China, which revealed that Japan’s tanks didn’t meet the requirements for modern armored vehicles of the age. The army required a faster and more well-defended tank with superior armament. Based on the results of an analysis of battles in Manchuria and China, the military were forced to choose between several projects in development with the Japanese tank designers. The medium (by Japanese classification) Chi-Ha tank was deemed the most successful. It was deployed in 1937 and took part in the Battle of Khalkhin Gol 1938 in limited numbers. Although the latest and already full-scale war proved that this tank could still not compete with its enemy contemporaries, more than 2,000 tanks of this series were produced in the 1937-1943 period. These included the Chi-Ha Kai modification. In War Thunder, the Type 97 Chi-Ha will be one of the first tanks that Japanese armor commanders will become acquainted with. 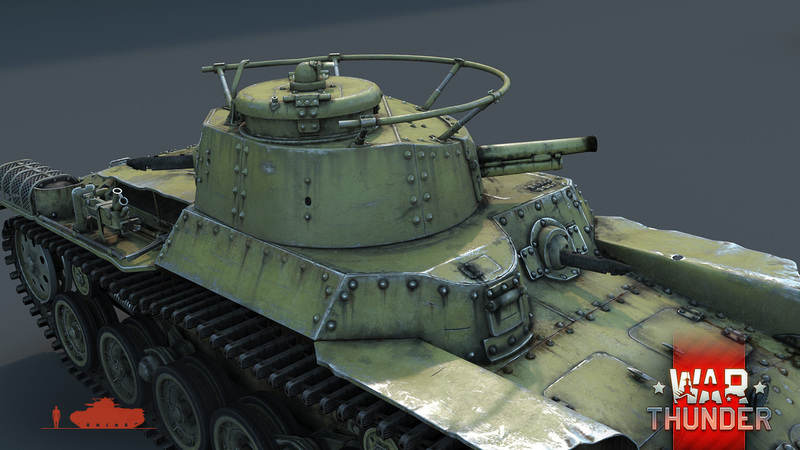 In comparison to Japan’s light tanks, the Type 97 Chi-Ha is decently armored – its has up to 25mm of armor. The tank is armed with a short 57 mm caliber cannon and a pair of machine guns. The Type 97’s cannon has interesting ballistics that are unusual for weapons of such caliber in the game: its range is very short, so to fire even at medium ranges, the commander must make relatively significant elevation adjustments. This unlocks great opportunities for firing from out of cover, for example. The tank cannon is equipped with armor-piercing high explosive (APHE) charges and high-explosive shells. Though shells of such caliber are hard to call an effective anti-tank weapon, the APHE charges, on the other hand, deal heavy damage when they do penetrate. The Japanese managed to place almost 100 grams of TNT into a single 57 mm shell! The Type 97 Chi-Ha is an important vehicle in the history of Japanese tank design. It will have its well-deserved spot in the Japanese armored vehicle tech tree in War Thunder. Keep an eye on our news and be the first to lead Japanese tanks into battle! Looks amazing!!! I love it :)) Thanks Gaijin! Hmm your name sounds similar... I think i know it from somewhere... and yup i agree this tank look great! What's that? Oh, calm down. Sit! I said, Sit! Alright, I'll tell them ... Ummm, my T-29 is anxious to, um, "meet" your Russian and German tanks. T29 is fine, Churchill is fine what about M36, M41A1, M26, M26E1, M4A2-M4A3 76mm, T92, T32, T25, 75-76mm Jumbo, Charioteer, Challenger and more, they all are worse than same BR german vehicles. And the lack of performance of APCR and Sabot (After last normalization changes APHE performs way better than Sabot against sloped armor and that's not historical at all) against sloped armor makes these tanks exactly some food for Russia and German vehicles. So i agree more food, yay!!! WOW, again a suberb modelling. It really looks awesome. I like the rich details the devs put in the tanks. It looks dirty, it looks worn, short it looks realistic! Great job as always! I play Warthunder now for 2 years. Before I played a lot of World of Tanks and from time to time I return for 2 or 3 matches only to see how much better Warthunder is in many aspects. Here you have way more immersion, you FEEL the tank or the plane you are sitting in, you are a part of it. Go on devs and THX! I agree, I can`t take WoT seriously anymore, Warthunder tanks are better in every way! Depiction of any real-world weapon or vehicle in this game does not mean participation in game development, sponsorship or endorsement by any weapon or vehicle manufacturer.